Music on the go without using headphones. This is how portable Bluetooth speakers have changed the way people listen to music nowadays. It allows a group of people to enjoy music while on a road trip or in a camp, or enjoying any outdoor group activity. These innovative speakers also come with features that make them even more awesome. Comparoid gives a review of the 2017 best portable Bluetooth speakers on the market that will let you into the new features and innovations in portable Bluetooth speaker technology. Basically, most portable Bluetooth speakers are compatible with smartphones and other gadgets. The difference lies in the speed of pairing and configuring. For a better experience, there are new models that are fully equipped with NFC technology that allows speed pairing and streaming to share music and videos with others. This also makes it easy to switch from one gadget to another for continuous enjoyment. IP for gadgets is not Internet Protocol, but rather Ingress Protection. It determines the degree of protection placed upon the gadget against solid and liquid elements. The higher the IP rating, the better the protection. This allows you to enjoy your gadget more in outdoor activities and even at home without worrying about damage. 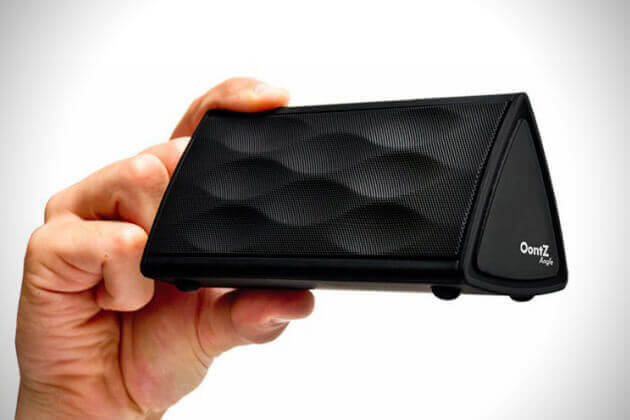 Since portability is its main feature, battery life is a crucial factor for choosing a portable Bluetooth speaker. Battery life differs among brands and models and this is something you need to critically decide on. Longer battery life models may mean a higher price, but it’s all about the convenience you want. Sound quality is the most important feature in any speaker, and the same goes for portable Bluetooth speakers as they may vary among different brands and models. Excellent audio acoustic drivers help deliver awesome sound quality without the distortions when played in high volumes. This is best done when testing the speaker if possible before making the purchase. Apart from all those mentioned, there are still some things that you have to consider before buying a gadget. First, you need to have realistic expectations in relation to your budget. High-quality brands and models that have all the features you want may turn out more expensive than you have prepared for. In that case, make a compromise by prioritizing the features and then using it to buy what you can afford. As well, do some checking and comparing online or look for reviews of speakers you have your eye on. This will give you a better idea of what you are about to buy and make sure you don’t regret your purchase. You can enjoy your portable Bluetooth speaker the most when you know you have bought the best one for you. Make sure to make a smart purchase or end up wanting to buy another one again, which means another cost.